BMW motorcycle LED lights offer brighter shine for increased visibility on the road. BMW motorcycle LED brake lights and products show off your ride better than stock light options. Improving how noticeable your bike is, LED lights for motorcycles are power saving. We are proud to bring you a great selection of the brightest options on the market. LED headlight bulbs for BMW models. 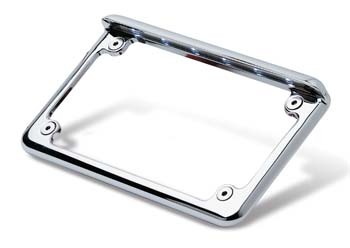 A BMW motorcycle license plate frame adds a touch of shining style. Every order over $150 gets free shipping at Radiantz, and we honor all warranties and guarantees.